16% Zinc ☀ | Sunscreen Beauty Balm that is Acne Safe and great for all skin types! Vegan, smooth, and packed with nourishing ingredients as well as antioxidants. This is a silky solid serum that melts into skin and leaves it moisturized and soft, as well as mineral protection from the sun. This is the last step of your routine, great applied over any serum or face mist! Designed to leave your skin soft and nourished, but never greasy. Cupuacu, the star of this Beauty Balm, comes from Brazil and is one of the few plant butters that actually absorbs water, so this is great applied on almost wet skin. Made for all skin types, mindful of the most sensitive & acne-prone concerns. The Non-Nano Zinc Oxide in this acts as a physical sun protectant, as well as aids in soothing redness. Won't clog pores or leave you feeling greasy. Daily Moisturizer + SPF in one! 16% Non Nano Zinc Oxide. 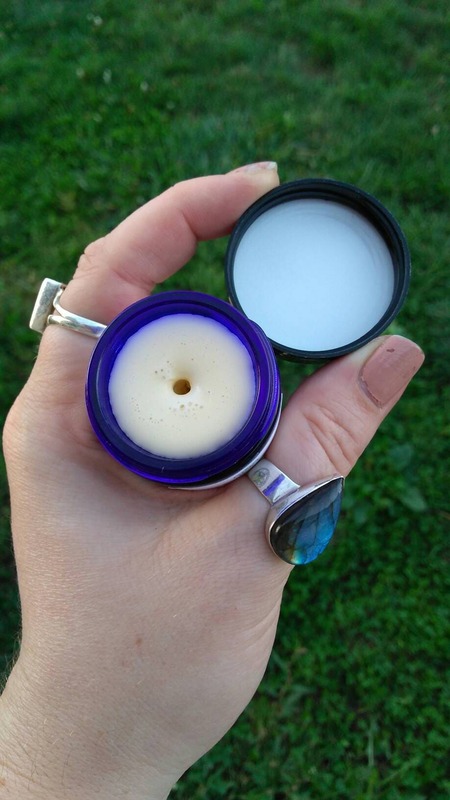 A unique beauty balm that offers nourishment + moisturization + protection for all skin types. Makes an amazing makeup primer! Non Nano Zinc Oxide adds physical sun protection without making you look ghostly. This can be blended with one of my tinted sun blocks for your perfect color. Apply ½ pea size amount by pressing into cleansed, slightly damp if you tend to be on the dry side (try misting with a face mist right before application), face and neck. May be used AM + PM. Use less than you think you will need. You can always add more, but this is a concentrated cream. Works really well to soften stubborn, dry skin. Use it on my face, hands, and my daughter's elbows & knees. She doesn't complain that it burns even when her skin is extremely dry, red & itchy. Keeps skin hydrated, u don't need much! So nice since the weather is cooling off. It hydrates me skin with out turning me into an oil slick. I cant decide which is better...this or her waterless face lotion. Both make my skin look radiant and healthy....and they just plain feel good on my skin (unlike many store moisturizers)! I was very surprised they do NOT break me out being they have oils... I guess like she says, "its good oil"!! Bonus: u use MUCH LESS than store moisturizers. I use this for a primer and for lotion. I'm in love! I have very oily skin and this doesn't cause any issues. I even used this on my sunburn a few times and it cleared it right up!